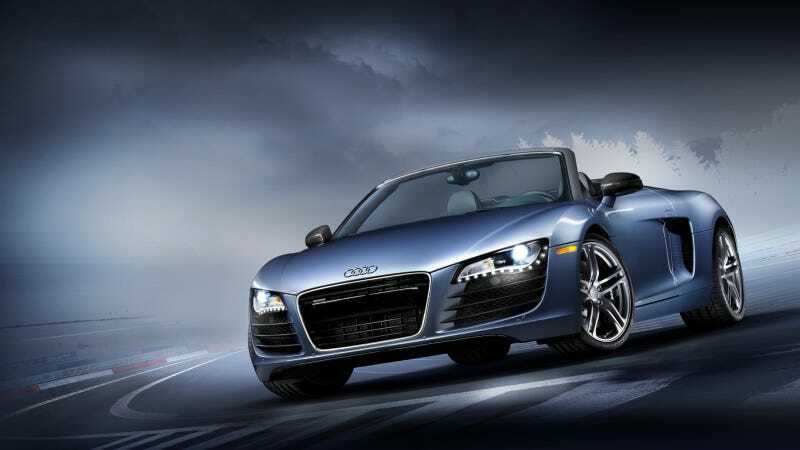 The Audi R8 is such a striking car. I like it, you like it, Tony Stark likes it again, and now we have an awesome wallpaper of it too. This photo comes from the good folks over at FPI Studios, who have a ton of great car photos on their site. They say they might hook us up with some other cool wallpapers again soon, so stay tuned. Photo credit FPI Studios. Click here for a bigger desktop version. Weekend Wallpapers are featured on Saturdays. Got one you'd like us to run? Send it to patrick@jalopnik.com with the subject "Weekend Wallpaper." Just make sure you have the rights to use it.